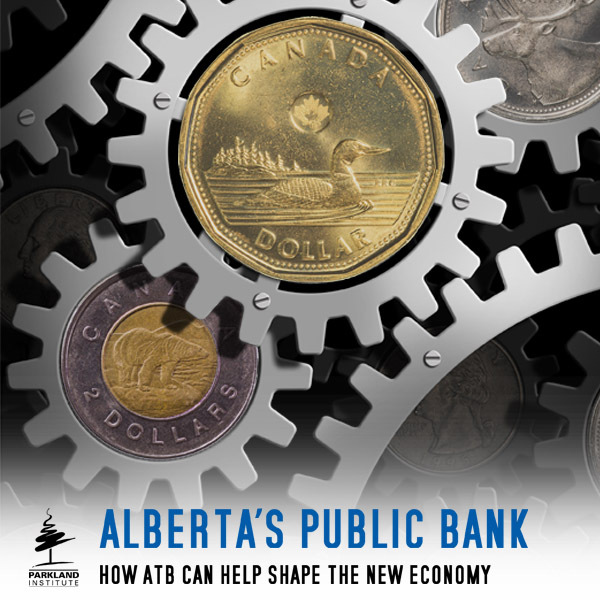 Alberta: Still pumping out the largest economy in Canada with the highest average pay in the nation, even in bad times. (Photo: Jeff Wallace, Creative Commons). It’s not equalization. It’s the taxes, stupid! That is to say, Alberta’s taxes are too low to run the place over the long term and something’s gotta give. The poor little rich kid of Confederation? Actual Canadian provinces may not appear exactly as illustrated (Image: Wikipedia, theatrical release poster, 1936). The great thing about Alberta’s never-ending tantrum about equalization and how the province of Quebec taxes and spends, at least from the perspective of the modern conservative movement, is that it distracts from the way keeping our taxes too low for too long has made this province so vulnerable to the inevitable booms and busts of a resource-dominated economy. Why talk about the role of taxes in democracy and sound economic policy when you can get almost everyone in Alberta yelling at Quebec about how they refuse to frack up their environment the way we do, and how mightily unfair that is to poor little us, the perpetually poorest/richest province in Canada. This may be anti-social and unhealthy for the country, but by gosh it boosts conservative political fortunes in Alberta! 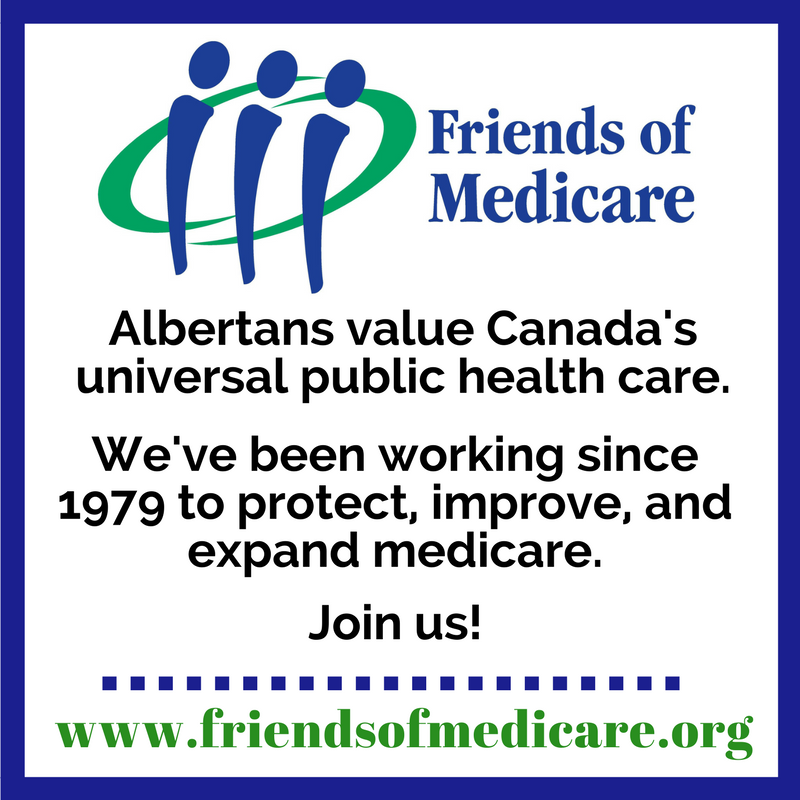 In other words, as Bob Raynard, a frequent commenter and occasional contributor to this blog observed in a comment in the last post published here, “Alberta voluntarily chooses to disqualify itself from the equalization program because of our low taxes.” We call it the Alberta Advantage, dontcha know! Imagine how lame this must make Alberta’s ongoing swivet about equalization sound everywhere else in the country. Here we are with our collective hand out for some equalization loot while we’re demonstrably the richest economy in the land, and likely to stay that way. Even the Fraser Institute, that reliable repository of market-fundamentalist cant, admits this is pretty foolish – although presumably they’re actually saying this out loud nowadays because Alberta’s NDP government seems to have jumped on the United Conservative Party bandwagon on the topic of equalization. “Here’s why,” Ben Eisen and Steve Lafleur, a couple of perennial Fraser propagandists, went on: “The equalization program works by taking federal tax revenue – collected from across the country – and distributing it to the governments of provinces with weaker economies.” And even in the recession, Alberta had the biggest economy in Canada. Not only that, but despite all our complaining we Albertans are paid the most in wages – which, of course, ends up in our federal tax contribution to equalization. Alberta Opposition Leader Jason Kenney (Photo: David J. Climenhaga). I’m actually impressed that the Fraser Institute doesn’t think that would be just peachy. After all, it’s sort of their model for the economy, don’t you think? It’s enough to make one wonder if we’re finally entering the Age of Aquarius! The Fraser Friends have nicely illustrated how on this issue the would-be emperor of Alberta, UCP leader Jason Kenney, has no clothes – metaphorically speaking, let me hasten to add for those of you troubled by that image. So if the equalization positions of the NDP Government of Premier Rachel Notley and the UCP led by Mr. Kenney seem to be converging on a single point, it’s emphatically not because there is only one common-sense position. On the contrary, it is the opposite. Neither party seems prepared to acknowledge the obvious: That you can’t run a province with more than four million people in 21st Century Canada with taxes this low. At least not for much longer. You can phrase this as “Alberta’s spending too much,” as conservatives of most stripes are wont to do nowadays, or as we’re not collecting enough taxes to keep the lights on, as is increasingly the case, but either way, this can’t continue. This is especially true when we have had conservative governments that for years have made no effort to diversify our one-note economy while cutting the royalties we receive from the natural resources we own in common. The result of this wilful mismanagement has been to leave us vulnerable to entirely predictable fluctuations of volatile world commodity markets – the proximate cause of the recent painful downturn in the province’s economy. Say what you will, despite its politically understandable reluctance to meaningfully raise taxes, at least the NDP has tried to address the diversification side of the equation – mainly to howls of protest from Mr. Kenney’s UCP. So what do we do instead of acknowledging the obvious and doing something about it? Exactly what we always do in our self-appointed role as the spoiled little rich kid of Confederation. To wit, scream and stamp our feet about how Quebec sets its priorities and equalization. If you ask me, this is rather like the university student who decides it’s better to be known as the young man who hates Shakespeare than as the young man who drinks too much. Well, sorry, the equalization program isn’t perfect, but Canada wouldn’t exist for long as a country without something like it – which is presumably why even Conservative Prime Minister Stephen Harper advised and encouraged by his able lieutenant Mr. Kenney put the current formula in place back when they were running Ottawa, notwithstanding their market fundamentalist instincts. The evolving situation may well work for Prime Minister Justin Trudeau. He has to know he’s not going to get many votes in Alberta and Saskatchewan anyway. Arguably, he’s already put his government’s B.C. seats at risk by giving in to Ms. Notley’s forceful demands that a pipeline must be built. In the same approximate time frame, he’s seen the Donald-Trump-like Doug Ford elected premier of Ontario and lost a by-election in Quebec to an unholy coalition of Conservatives and separatists. Alberta’s political consensus offers the prime minister a way to fix this – through the simple mechanism of leaving equalization alone, and pointing out to voters in Central and Atlantic Canada that the still-Prairie-dominated federal Conservative Party is likely to make big changes on that file that will inevitably hurt them. Every time an Alberta Conservative screams about equalization, it will back up that argument. If that doesn’t work, he can trot out Mr. Kenney’s anti-Quebec rants to voters in that province and Quebec nationalists’ ties to Conservatives like Mr. Kenney elsewhere to make the case movement conservatism presents an existential threat to the survival of the country. Then, like everyone else he can get down on his knees and pray for higher oil prices, which would solve the problem for another economic cycle for everyone except the Conservatives in Ottawa and the loser of the next Alberta provincial election. Canada’s slow-motion journalistic train wreck continued yesterday with the announcement by Postmedia it is shutting down six more community papers in Canada, four in Ontario and two here in Alberta. At the risk of mixing metaphors, this feels like being nibbled to death by ducks … it’s painful, and it’s slow. It should have been obvious when big newspaper corporations with no heart and no interest in community started buying up small-town papers like the Camrose Canadian and the Strathmore Standard that the end of local journalism was in sight. Postmedia’s internal announcement yesterday had the quality of a Beaverton spoof. Seriously, the Toronto newspaper company, significantly owned by U.S. vulture capitalists, told its remaining frightened workers that “if we intend to survive and create a new model for the new reality, then we must continue to take the necessary steps to focus on areas where we can win and make the tough, yet decisive, decisions about where to make these changes.” That kind of thing would have elicited guffaws were it not for the whistle off the falling axe. “The traditional revenue balloon continues to deflate at a much faster rate than we can inflate the digital revenue balloon,” Postmedia’s statement added, breathlessly, presumably not with the assistance of anyone who had ever written news stories for a living. With the demise of the two Alberta papers, 33 small Postmedia newspapers remain in Alberta communities where the corporation’s formula is unlikely to win, so this could take a while yet. Well if the current equalization ketfuffle could be described with a Shakespearean sounding line it might be Much Ado or how about Mid summer’s night madness? As the provincial election gets closer public discourse in Alberta tilts towards its own silly season. Yes, it’s getting a bit detached from reality when even the Fraser Institute has to point out the obvious – you make more, you may pay more taxes. Of course, the well paid oil worker still has more after tax than the seasonal fisherman from the Maritimes which is why so many come here. Living off equalization is not as rosy as Kenney makes it sound. Now I realize the last few years have been tough for Alberta which for many years had only had rosy, but really the rest of Canada is not interested in an Alberta pity party. Even the more Conservative Ontario is probably wondering why don’t you guys just bring in a PST and your deficit problem would be solved in a second. Now I know those are fighting words in much of Alberta so a PST is not likely to happen soon. Maybe Alberta just wants the rest of Canada to show a little appreciation. We’ve had a tough few years here, even though by everyone else’s standard our economy is still pretty good. Dear rest of Canada just bear with us while we rant and rave for a while and bring up various imagined grievances – politics you know. If the country could survive a truly strange Ontario election, I am sure it can survive Alberta’s. If you want to send a thank you note, some poutine and a group hug, it might be appreciated by some here. Others will just rant and rave regardless. You simply couldn’t be more wrong. Higher provincial taxes would do nothing to change Alberta’s country leading salaries (in the short run at least), and thus your proposal would in no way alter either the amount Albertans pay into equalization via their federal taxes, nor would it alter the formula the feds use to dole that $ out. If anything, getting us closer to a balanced budget would make us less eligible for equalization than we are now, as it would improve our “fiscal capacity” (less of zero is still zero mind you). Some may support your desire for ever higher provincial taxes, but please don’t conflate issues and pretend your desired policy outcome for X will in any way solve for Y. Last time I checked Premier Notley raised provincial taxes quite a bit for some. She hiked the highest bracket (money an individual makes exceeding 300K/yr) by 50%, and corporate rates went up too. Now that was in her platform, to increase taxes on the richest people & companies, so kudos to her for a promise kept. However what you are selling here is malarkey. Alberta may need higher taxes to continue its current service load while getting closer to budget balance, but that would in no way end the equalization issue. As for your argument that ending equalization would end the country, that seems highly doubtful. Rather it might inspire places like Manitoba and the Maritimes to undertake some much needed self-reflection as to the perennial weakness of the economic policies they have engaged in. Berta, you are absolutely correct that increasing taxes will not change Alberta’s high wage rate, and consequent higher federal taxes that pay into the equalization program, and it certainly wouldn’t alter the formula the feds use. One of the fundamental principles of the equalization program is that provinces receiving equalization must have an adequate level of taxation. That is only fair. Think of the outrage political commentators would express if New Brunswick eliminated both their income tax and sales tax, then cried that they were poor, and needed a significant increase in their equalization payment. In the rest of Canada, paying a provincial sales tax is the norm, as is paying a higher rate of provincial income tax. They may look at our level of taxation with envy, but that envy will turn to contempt when we then ask for an equalization payment. In your post you argue that increased taxes will get us closer to a balanced budget and reduce our eligibility for equalization. That is exactly the point! If we can balance our budget by applying the same level of taxation as the national average, why should we expect people in other provinces, who are already paying those higher taxes, to contribute to our provincial coffers? I think of equalization as welfare paid to provinces. Most people don’t begrudge disabled people, or mothers who have been abandoned by their husbands a welfare cheque, but are disgusted by an able bodied young man who draws welfare because they don’t like going to work. Provinces like PEI and New Brunswick charge high rates of tax and still need a bit of help; they deserve their welfare because they are already doing their best and it isn’t enough. Alberta needs to do its best before asking others for help. So yes, as long as Alberta’s tax rate remains significantly lower than the rest of Canada, we will never qualify for equalization. We are voluntarily disqualifying ourselves. Taxation rates aside, fiscal hawks on the right often ignore Alberta’s increased education expenditure, due to our burgeoning school-age population. Alberta for example, spends more than B.C. on education due to a much higher enrollment rate for kids aged 5 to 19. Additionally, higher wages in Alberta’s private sector has led to higher wages in the government sector — making it more expensive for governments to operate. Prior to the 2015-2016 recession, Alberta typically led all provinces in population growth creating an additional financial burden on public coffers. These salient points are always ignored by the tendentious right-wing financial pundits who go out of their way to change the fiscal narrative to meet their market fundamentalist liking. 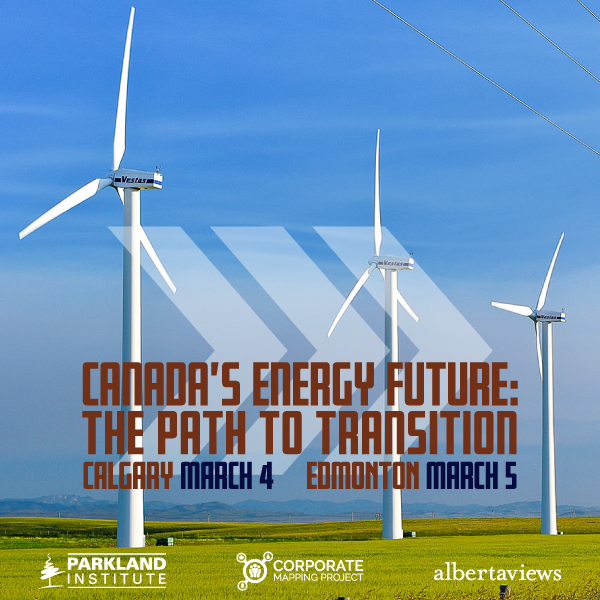 Another enlightening perspective on why Alberta should not be lumped into comparative analysis with other provinces so quickly comes from the Parkland Institutes Ricardo Acuña (see link below). As an added bonus, readers should scan this piece: “No One Should Feel Sorry for Alberta”, by Globe & Mail scribe Gary Mason. One other dimension that deserves mention is the long-time failure of successive Alberta govts to set aside and SAVE resource revenues for a rainy day. How Alberta loves to blame others for decades of financial mismanagement. It seems this maudlin hard-done-by, woe-is-me, everybody’s-out-to-get-me cant is a perennial feature of the right—an heroic age unjustly deprived, god-given rights denied—oh! What a crying shame! I think it informs notions of justifiable social retrogression to an undeniably unfairer era and, disturbingly today, meting out justifiable revenge on the depredations of evil progressiveness. These guys put the ‘right’ in ‘righteousness’. I’m always reminded of this kind of right-wing self-righteousness whenever I hear many subscribers to this pseudo-philosophy, most of whom can reasonably be said to own some level of culpability in the unfair treatment of indigenous people, decry compensating victims of these wrongs, no matter how inadequately, as ‘unfair’ and ‘unequal’ because the culprits don’t also get the same. The notion that even the most parsimonious compensation for official cultural genocide is unfair because it’s, as naysayers put it, “race based” neatly ignores that the plaintiffs’ basic case is that they were targeted for unfair treatment specifically based on their race—the negative discrimination they suffer is “race based”, too! I attribute this kind of selective judiciousness to our ancient Germanic tradition, blunt and brutal weregeld or ‘man-gold’, and the idea that any gathering of the likeminded —such as in a defensive wagon lagger—constitutes a jury which, in its compulsory unanimity, must be right. At the centre of the right’s self-righteousness is primitive justice and the ancient narrative that their heroic or ‘golden age’ has been—or is about to be—unjustly deprived, at least in the selected, selective jury’s opinion. It’s also the supremacists’ recruiting and steeling conundrum: ‘if we fail to repulse the attackers, they will do to us what we’ve already done to them (which, naturally, they deserved for challenging our supremacy).’ Now that’s motivation—in the perverse sense of the self-righteous, historically wronged and horribly beset. Every time you post, you miss the key feature. Jason Kenney is towing the cart that Trump built. It’s full of melting snowflakes and sick puppies! He’s been doing this for years! Get it together! His track record is a gobsmack! Even for my uncle! Pro tip! If you’re good enough to work here? You’re good enough for us! You know, it strikes me that conservatives in Alberta are contradicting themselves when, on the hand, they complain that ‘we don’t have a revenue problem, we have a spending problem’ (as an excuse for austerity) while, on the other hand, they complain that revenue is compromised because too much money leaves the province due to equalization. You can’t have it both ways. I’m surprised that this contradiction isn’t being exploited. The basis behind equalization payments isn’t hard to understand. The Parliamentary Library has a short essay on it, including Harper’s 2007 and 2009 updates. Since equalizations come out of federal general revenues, how some jumped-up Alberta politicians of both stripes, too busy to google but with plenty of time to whine and bleat publicly about the provinces’ contributions, can get it all so wrong is beyond me. Provinces DO NOT contribute to federal tax revenues, Canadian citizens and businesses do. What’s more, only 50% of a province’s resource revenues are consided when it comes to the “handouts”. Advantage Alberta. Of course blindly uttering opinions as facts is any politician’s stock-in-trade. With any luck, their audiences are even more poorly informed than they are, and will bray approval of utter nonsense. Joe Ceci released his end of the year numbers yesterday for Alberta’s fiscal year ending March 31,2018. There were a few things that caught my eye. The deficit was over $2 billion less than projected due to increased royalty revenue and increased investment income(heritage fund I assume). Revenue from corporate tax was over $400 million less than projected and revenue from personnel income tax was also over $400 less than projected. This is interesting due to the fact that the NDP has increased the corporate tax 20%(from 10 to 12%) and the top personal tax rate 50%(from 10 to 15%) since coming into office. The NDP always talks about how big business and higher income earners need to pay their fair share hence the increase in rates but the increased rates didn’t increase revenue, go figure. An interesting article on the CBC website may 24 titled: Alberta’s income tax advantage exists for the poor and the rich, but not those in between”. The article compares how Alberta’s tax rates stand up against other provinces. The numbers used in the article are from 2015. At that time the tax rate over $125000 was 10.5%(now 12) and over $300000 it was 11.25%(now 15). What really caught my eye was that the bottom 50% paid 2.3% of the income tax collected. The 40% of earners above them paid 28.7% of income tax collected. Leaving the top 10% of earners paying 69% of the tax collected. Now the NDP doesn’t feel the wealthy pay their fair share, the top 10% pay almost 70% of taxes collected, how much is their fair share? It appears to me they are carrying the load now!! In your title David it appears you believe we need higher taxes, looking at the budget results from last year it appears raising income taxes didn’t increase revenue and the wealthy are already paying by far the largest part of income tax collected, so where would you raise taxes?